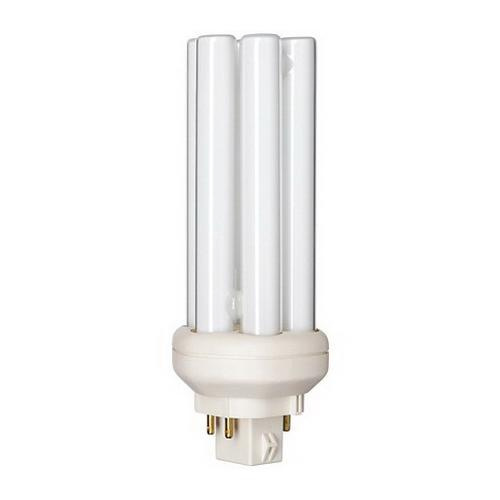 Philips Lighting Alto® 27-Watt PL-T 4-Pin GX24Q-3 Base linear compact fluorescent lamp offers 1750-Lumens of bright light output. It has efficacy of 64.8 LPW. Lamp has current rating of 0.335-Amp. It has color rendering index of 82. Lamp with 3500K color temperature rating radiates white light to the surrounding. Dimmable lamp measures 126.7 mm x 41 mm Dia. It comes with average life of 16000 hours.